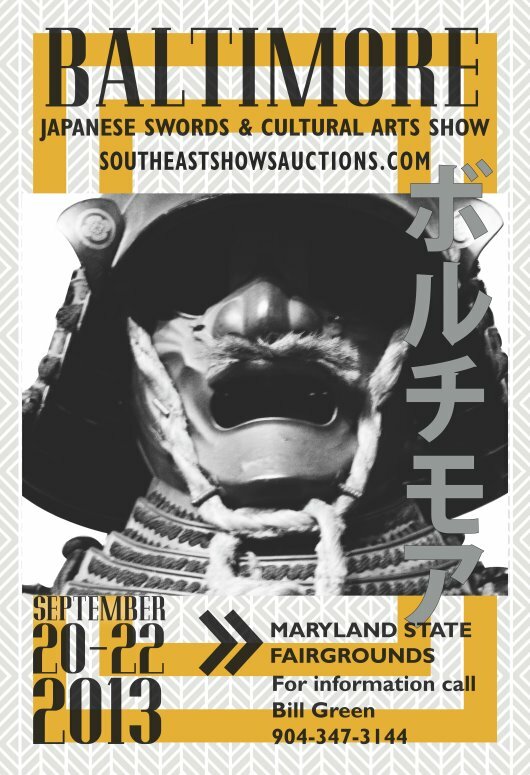 Here is a great upcoming event: Baltimore Japanese Swords & Cultural Arts Show on September 20-22, 2013. Full details can be found on the following website: http://www.southeast...imore-2013.html. The show promoter and organizer is Bill Green the same person who did the 2013 Tampa Japanese Sword Show.